Fresh off the loom. YARN STORIES. Go beyond a single clip. Stitch your favorite YARNs together. Maybe string a few clips from the same show together. 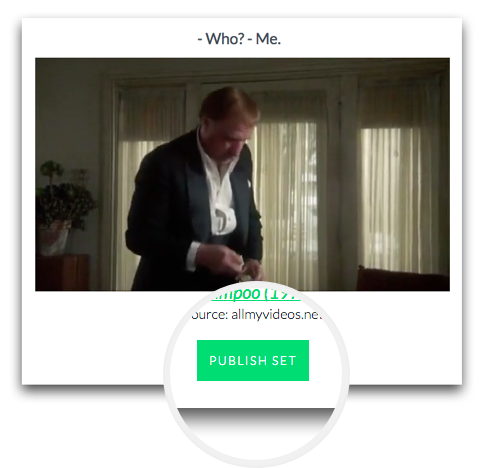 Be the next Scorsese: amuse your friends with your clever mashup. 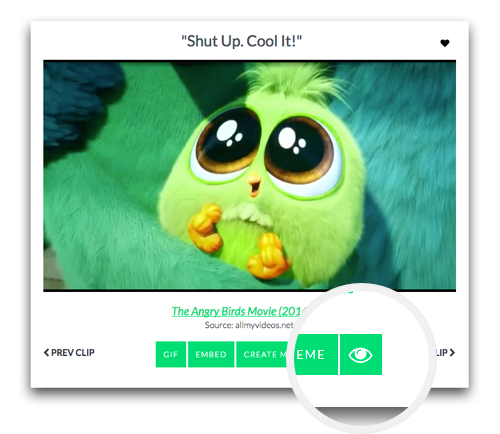 Pick clips across shows, movies or music videos. Watch our example, maestro. It only takes one clip to start. Find a YARN. Click the HAND icon under a clip to start your story. Think of it like dropping clips into a tote bag. Choose at least two to make a story, so search for another YARN and click on its hand icon to put it into your collection. Easy, huh? Here's two sample clips you could try. Clip 1: Here. Try this. Clip 2: You talkin' to me? Time to make the donuts, or rather, view your YARNs selected. After adding a clip, click the EYE icon under a clip to edit your story. The hand icon changes to an eye after adding a YARN, or you can click the BOOK icon in the upper right of the page. Clicking on either puts you on a page with all the YARNs you selected. See your YARNs together. Click the EYE icon to view your story which shows after adding a clip. Or click the BOOK icon, upper page right. 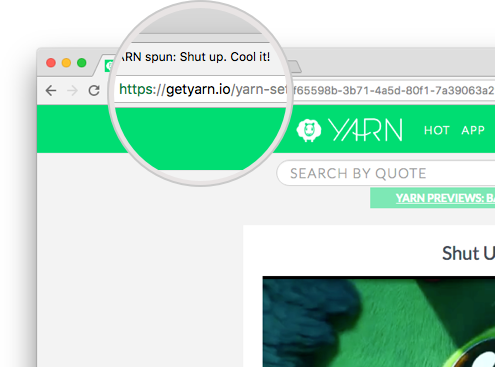 Either lets you view the selected YARNs. Rearrange your masterpiece in whatever way suits you. Use the arrows on the clips to move them forward or backward in the story. The X icon lets you remove a clip you don't want. Fiddle to your heart's content to more finely craft your story. You are the puppeteer, make them dance! Unleash the hounds! So, you carefully searched for the perfect YARNs and fashioned the most interesting story known to mankind. What next? Time to make it possible for the world to see it. When you are ready to share, click PUBLISH. This creates a web link that anyone can access. And for bonus points, if you are logged into your free YARN account, it is associated with you. Fantastic story you made! When you're ready to share, click PUBLISH to create a sharable link. With a free YARN account, the story is stored as yours. Shout it from on high! Tell your gramma! It's time to share it with friends. The easiest way to share anything anywhere is by its link. Just click Share and copy the URL. That's about all it takes, and you're off to the races. When you share it in Twitter or Facebook, it can play inline. We're working on integrations for Slack, other apps and sites too. Remix? What's a remix? 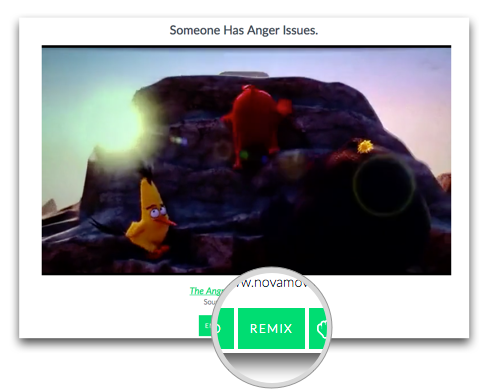 While watching a Story, if you think it needs a better YARN or a different arrangement, click the REMIX button. We copy the Story and put its YARNS into your own Story queue. Then add or delete YARNs, rearrange the Story how you like, and publish your improvements. Rickrolls commence! Wanna tweak a story? Click the REMIX button. We copy the Story and let you edit it. 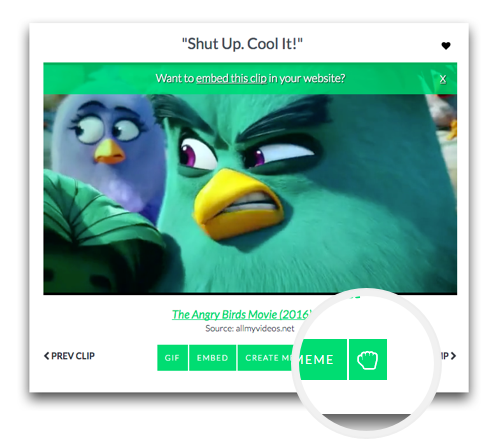 Add or delete clips, rearrange it how you like, and publish. Rickrolls FTW!